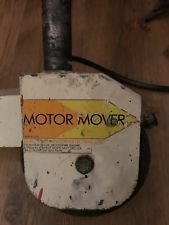 Here are a few Motor Mover and other enquires we have had for caravan parts as examples. Hi do you have any caravan movers and the prices .thanks. Hi, I have broken the motor mover on my 2004 Avondale Argente 480/2 and was wondering if you had one. If not do you have a door that is 615mm x 330mm Many Thanks . Do you stock replacement caravan motor movers for a LMC 2003 regal caravan please? I have photos and measurements showing the sizes and profile. Regards. 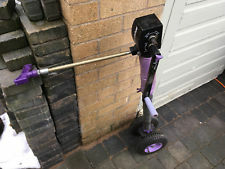 Hi I am looking for a motorised jockey wheel for a ace supreme 2004 4 birth Thanks in advance. I have a 2008 Avondale Osprey and am looking for a replacement motor mover, pleated blind and fly screen. Can you help? Regards. 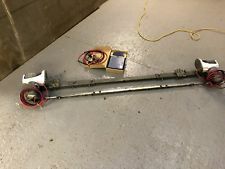 Hi, looking for a motor mover and 2 replacement caravan windows for an LMC caravan: Side 106x62cm Front 165X62cm String windows have ripped off and completely wrecked 2 windows. Thanks for any reply. Hello I'm renovating a Compass Rallye 490. I need to find a motor mover and a replacement window for the front left hand side as it's cracked and no longer keeps out water. Thank you. I have broken the glass on the grill door of my Cramer Supreme Oven serial no. 03040/295; EC product ref 0086/AQ/205. It's a beige/brown sort of colour. Can you find me a replacement bit of glass? Everything else could be swapped over. Thanks. Here are a few enquires we have had for caravan parts as examples. I recently damaged my motor mover and a rear corner steady on my 2011 Bailey Unicorn Valencia. I would like to find a matching one. I notice looking around a caravan showroom that the Pegasus models use the same and some of the Swift models. I live in Lincolnshire but your breakers at Peterborough and Northampton are fairly close. Abbey Warwick County 1997, I am looking for the brackets that hold the sliding internal doors to the track situated in the ceiling. ​Evening, I am looking at purchasing caravan motor mover and I also need a front centre window for a Compass Rallye 482 2004. Window Size: width 88.9cm/35 inch x height 87.63cm/34.5 inch. I hope that you can help me. Regards. Hi I need a series of good working order items to build up my caravan in Aberdeen or Aberdeen Shire. Items include but not limited to Motorized jockey wheel : - Gas cooker hob. - Gas oven. - Gas system (pipping, fittings, ect). - Gas water heater. - Shower and toilet cabin. - Table. - plumbing. - Fresh water tanks. And some more. Where are you located in Aberdeen Shire? Thanks. All these plastic/nylon brackets have broken, making it impossible to close off the rear of the caravan. Also any internal door catches for this model would be useful. I look forward to hearing from you in due course if you can help. The caravan we need the motor mover for is a clubman 390-2 i think it’s at least 10 years old? we need a new sky light a new door lock new window catches new electric wires as one or 2 wires have cut underneath. gas connector and electric connector. i think that is it. if you were in the position to buy for scrap it has a hob, oven, fridge, sink, it would be better for you to look is there a number i could contact you on. Hi. i am looking for a reasonable condition motor mover for a single axel caravan. the caravan size is an Abbey 4 berth.